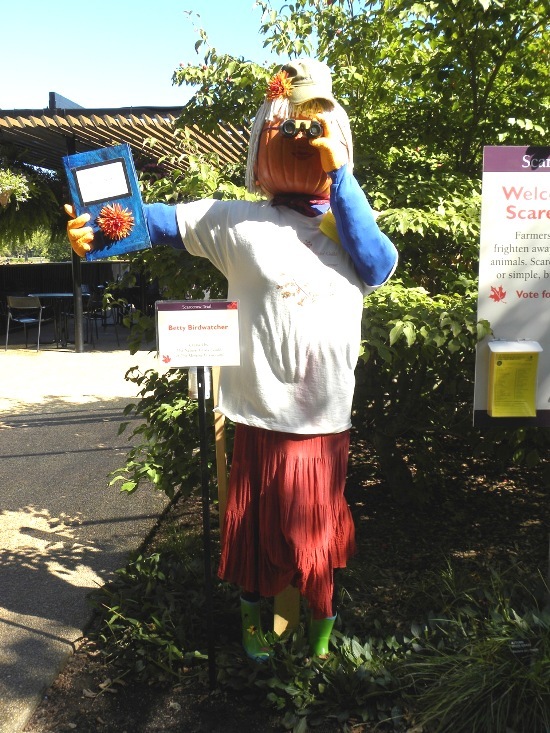 There are just a few more days left to visit “Betty Birdwatcher”on the Scarecrow Trail at the Morton Arboretum. You can find Betty just outside the door of the Visitor’s Center, at the beginning of the one-mile path around Meadow Lake, and will recognize her by her Nature Artists’ Guild t-shirt. Betty, created by members of the Nature Artists’ Guild, will be watching her birds until the end of October, and you can visit the trail between 7 am and sunset. This entry was posted in Member Artwork, Other, Volunteer!. Bookmark the permalink.